This is the first drawing supplied by Ariel of their possible return to the motorcycling market with a supercharged single cylinder motorcycle. 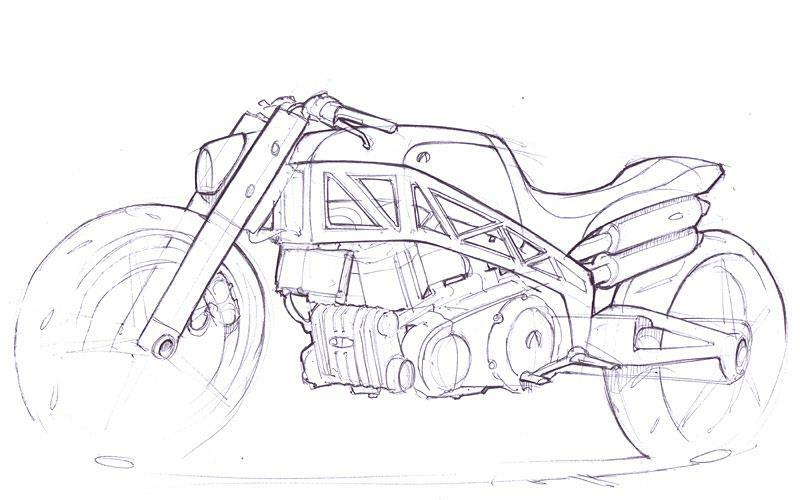 This design is one of three posibilities for a new Ariel motorcycle, and will be powered by a bought-in engine, probably from Honda, with a supercharger bolted on to give a huge whack of power and torque. It would also be far lighter than most conventional motorcycles. The other options being considered by Ariel are an electric motorcycle, or a Fireblade-engined naked bike with Ariel's own chassis and styling. Ariel boss Simon Saunders is keen to hear what MCN readers think is that preferred motorcycle.